When it comes to the real big hitters of the Italian wine scene, you can’t help but look at the Tuscan region of Chianti and feel somewhat impressed. For hundreds and hundreds of years, this green and pleasant land, with its rolling vineyards and crumbling castles, has defined the wine identity of Italy, and has inspired much of the rest of the world. Here we find old, traditional winemakers, using time-honoured methods and heritage vines to create truly beautiful, bright and balanced wines that match the sunny, breezy, easy-going atmosphere that Tuscany is famed for. 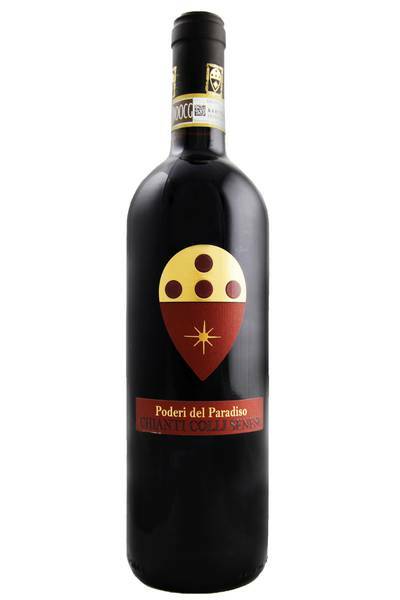 Poderi del Paradiso fits this bill fairly comfortably, and if you’re looking for a high quality, quintessentially Tuscan red wine, they’re a deeply rewarding winery to reach for. Vasco Cetti, his wife Graziella Cappelli and their son David own and manage the beautiful 50 hectare farm of Poderi del Paradiso located just outside the town of San Gimignano. While Vasco only turned his hand to viticulture in the 1970’s, this former surgeon’s family have owned these vineyards since the Middle Ages. The vines are all managed organically and this little subzone is located just north of Siena, in the rolling hills surrounding the city. This is classic Italian - the lifted red floral perfume, the savoury, meaty edge to the fruit and the kick of tannin on the finish that is just crying out for food. Chianti wines made from the classic Italian Sangiovese grape are a burst of sunshine on the palate - all bright, juicy flavours, and the kind of laid-back character that makes you want to sit around in a panama hat all day, snacking on olives and watching the world go by. This Chianti goes with all your favourite Italian dishes - family meals like pizza and lasagne are always winners with this one - and will also match up fantastically with roast lamb, game dishes, grilled meats and burgers, and traditional Tuscan soups and stews.